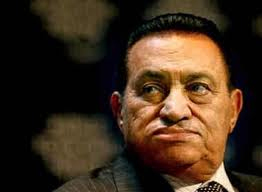 It looks like Egyptian President Hosni Mubarak will be looking for a new job soon.Â But first he’ll have to repair his image.Â He might want to look into an SEO campaign from the guys at Banc Media to put a positive scene on his presidency. Though we’re not sure that’s possible. Communications platform provider Meebo announced that Comedy Central will integrate Meebo Rooms, embedded chat rooms, into Indecision2008.com to host live user commentary during election and post-election television coverage. Comedy Central will promote Meebo on-air during Election Day, November 4, to direct all amateur pundits to Indecision2008.com so they can weigh in with their opinions. Comedy Central’s Indecision2008.com web site will have extensive coverage of Election Day. Postings will take place all day by the site’s bloggers who will report the latest news on the presidential election as well as the hot races in the House and Senate. The site will also host a Live Chat, powered by Meebo, during the day and throughout the “Indecision 2008: America’s Choice” special, enabling users to connect and discuss the election with other fans. There will also be a Live Blogging Event from 7:30 p.m.-11:30 p.m. ET with comedian Patton Oswalt. In addition, throughout the day, the site will launch exclusive interviews with “The Daily Show” correspondents recollecting their favorite moments covering the campaign over the past year as well as a “Swing State Seminar” with exclusive video series hosted by comedian Kurt Braunohler that outlines the key issues in the most hotly-contested battleground states. The Washington Post and washingtonpost.com will be offering a comprehensive package for the 2008 elections, including in-depth political news and analysis from the paperâ€™s award-winning political team and groundbreaking news aggregation and video technology. The Post’s political team will go behind Tuesday night’s results in the races for the White House, Congress and the nation’s statehouses, providing in-depth reporting and analysis on where the country stands after Election 2008. Our correspondents, anchored by veteran political reporter Dan Balz, will report from Washington and around the nation on the history-making contest between Barack Obama and John McCain and tell us where the victor will lead the country beginning in January. The coming presidential elections in the US is not only important for Americans. The election also has significant repercussions outside of the US. With this, LiveJournal announced a uniquely global community, US Election 2008, dedicated to the discussion of the Presidential campaign. The community is for journalists from newspapers outside of the US to gather the views and opinions of Americans regarding the pending Presidential election. The community is intended to facilitate wide-ranging public discussion of important political issues, including reactions of people in the U.S. and abroad to the issues faced by the U.S. Presidential candidates. Participating newspapers include The Independent from the United Kingdom, Gazeta.ru from Russia, and Mint from India. New topics are presented by journalists posting questions or articles for review in this community. Participants then respond to those questions and their views, when necessary, are translated into the language of the publication to represent the views of those living within the United States. During the October 7 (9:00 pm EDT) â€Town Hallâ€ style Presidential debate in Nashville, community moderators will follow the debate on the US Election 2008 community, seeding questions to the community in real time. The conversation will directly follow the twists and turns of the debate, creating a virtual Town Hall to mirror the debate.